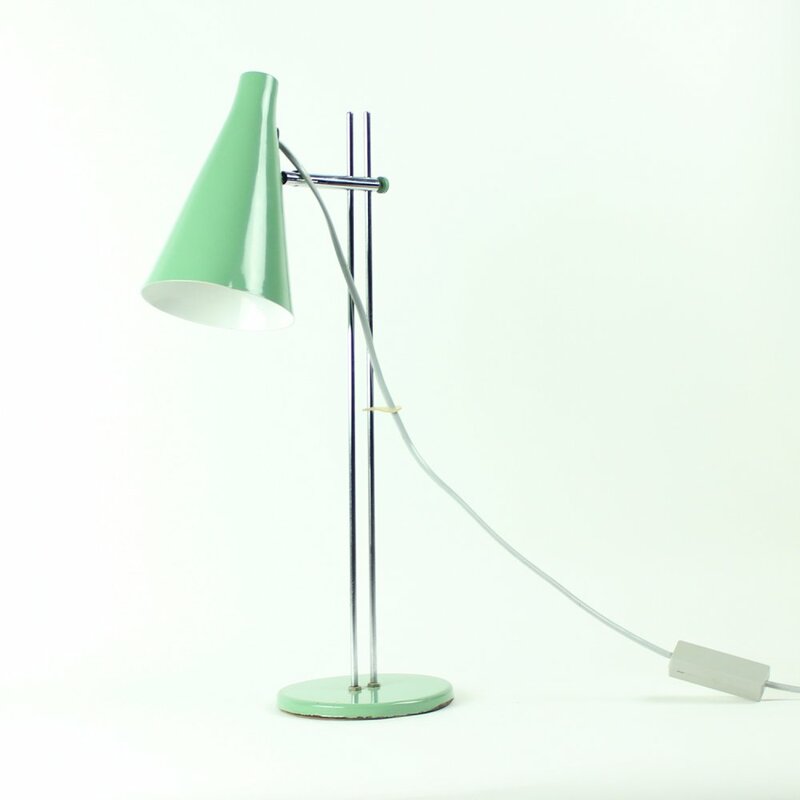 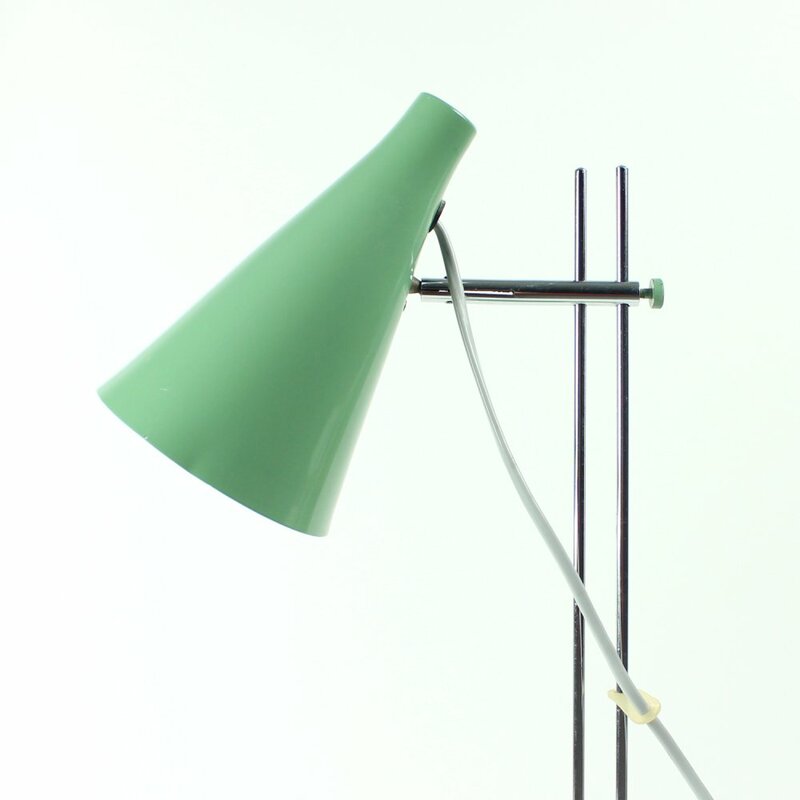 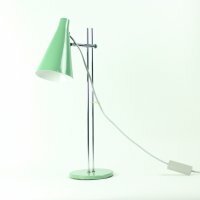 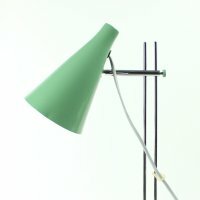 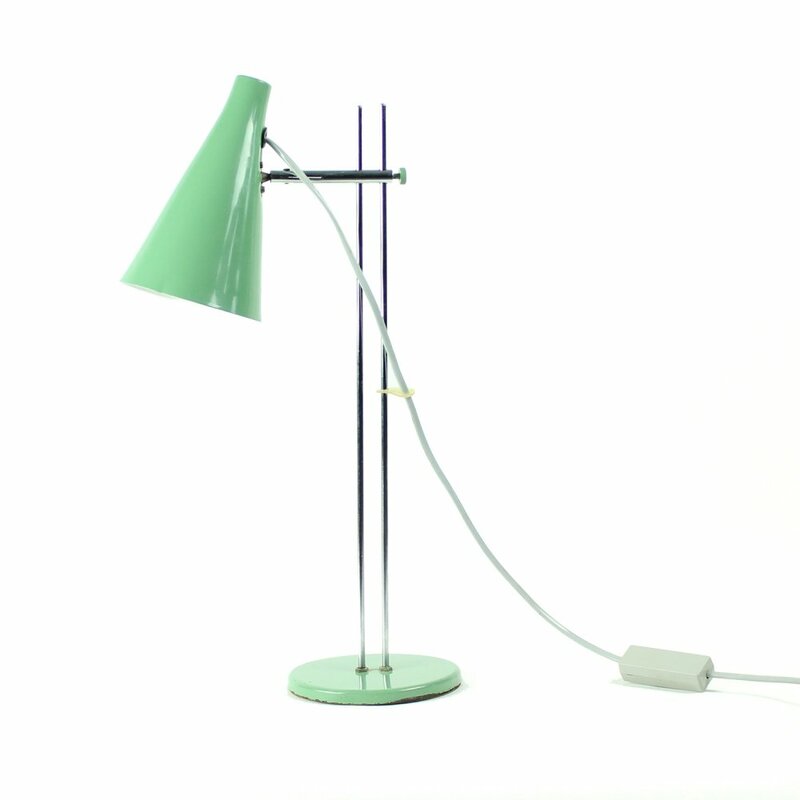 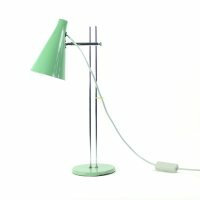 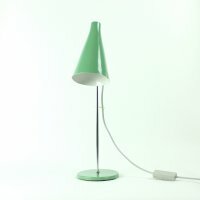 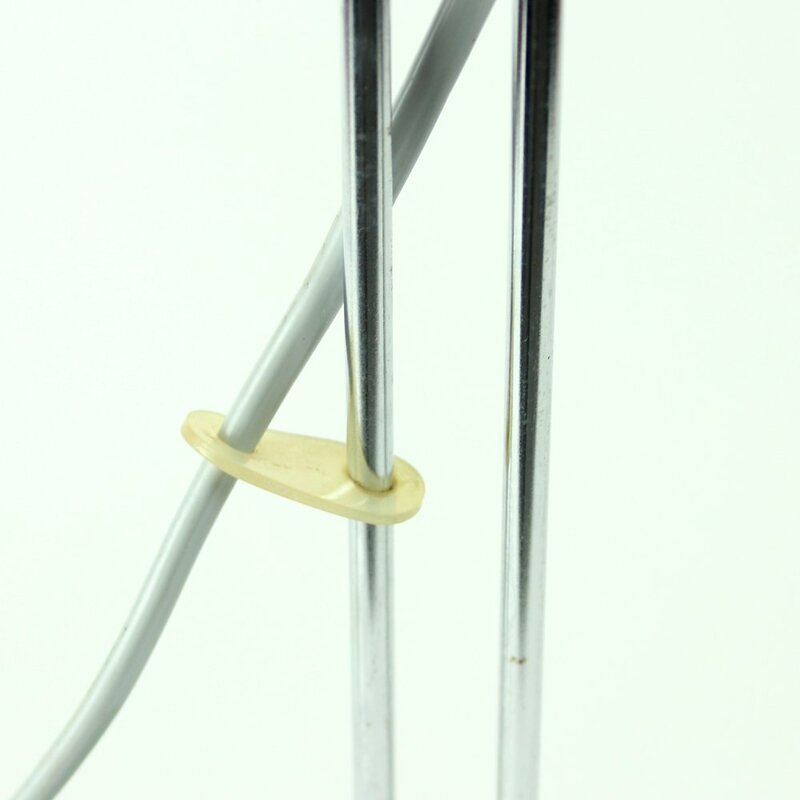 Beautiful table lamp designed by Josef Hurka for Lidokov. 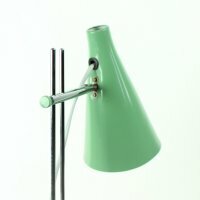 Classical midcentury design with simple lines and beautiful details. 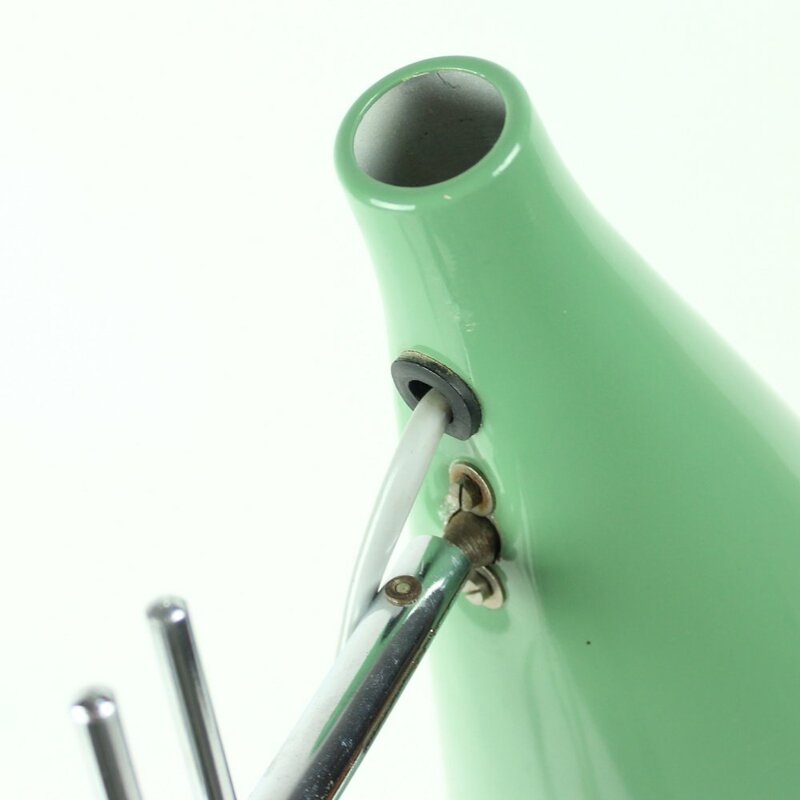 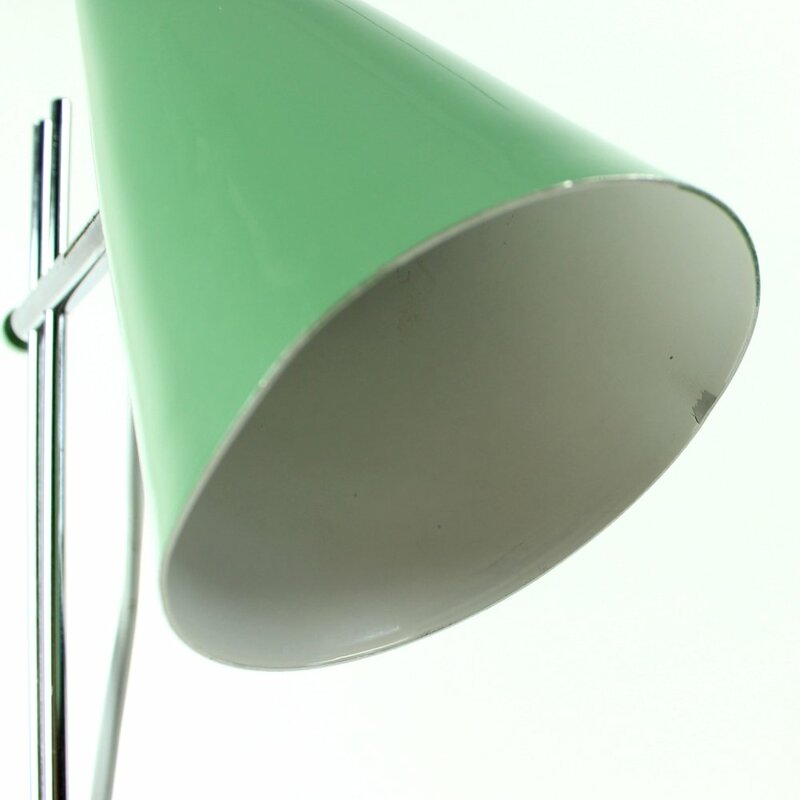 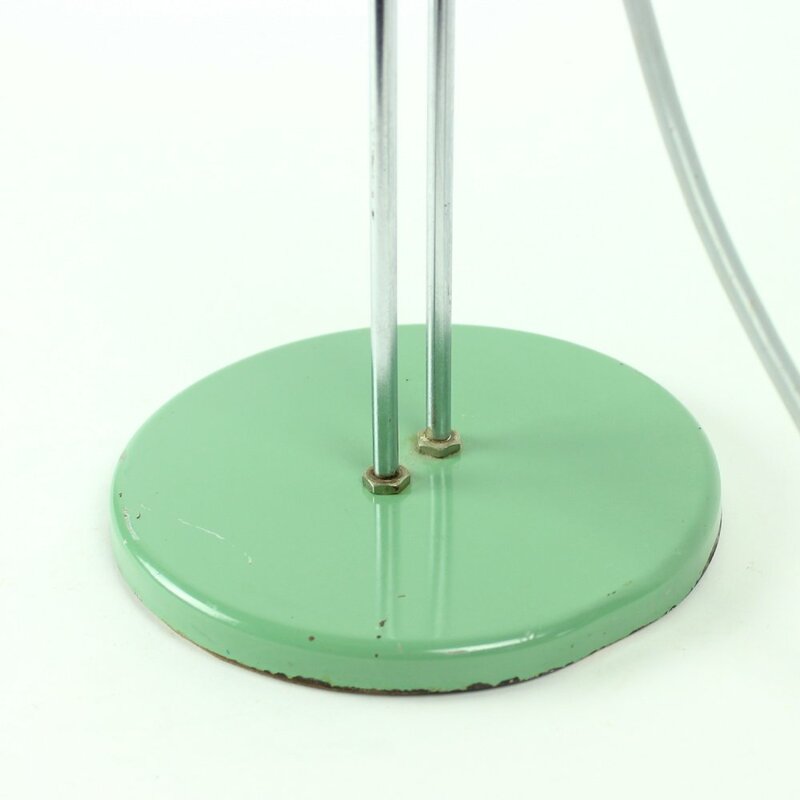 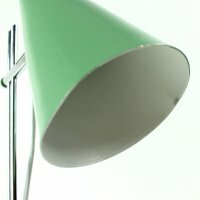 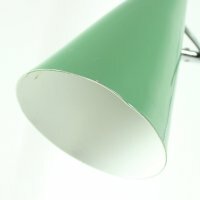 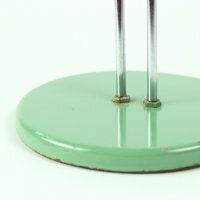 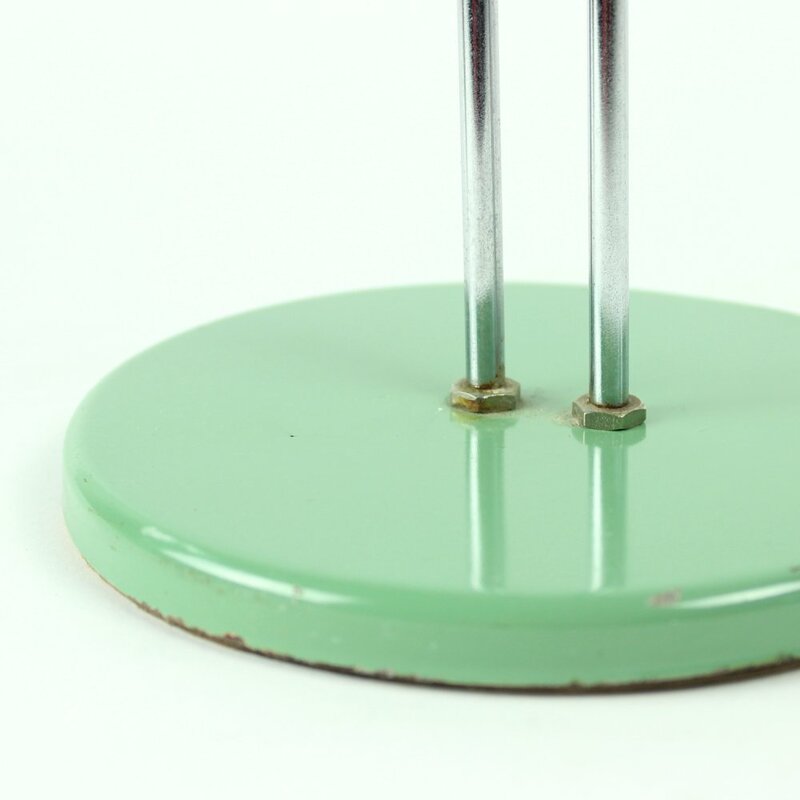 Lacquered metal in green or turquoise color. The chrome construction in excellent condition. The lamp is in very good condition.